Sailing in The Dreamy Whitsundays..
Close your eyes, imagine you can hear the gentle waves breaking against the shore, imagine feeling the sea breeze in your hair, surrounded by Crystal blue water- paradise as we know it. This is what we have experienced while we were in the Whitsundays. 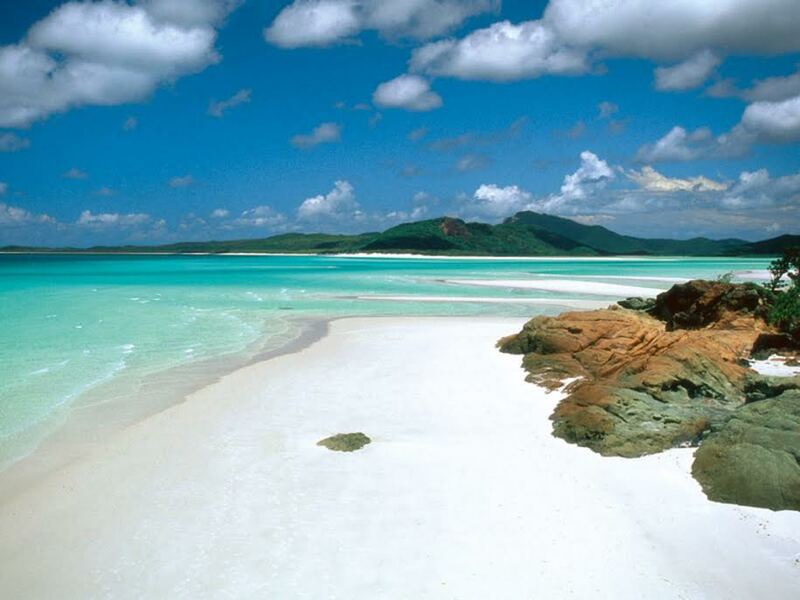 The Whitsundays is a compound of seventy four islands located in between Queensland and the Great Barrier reef. It is the perfect place for you to experience the peace and tranquillity that the Whitsundays has to offer. 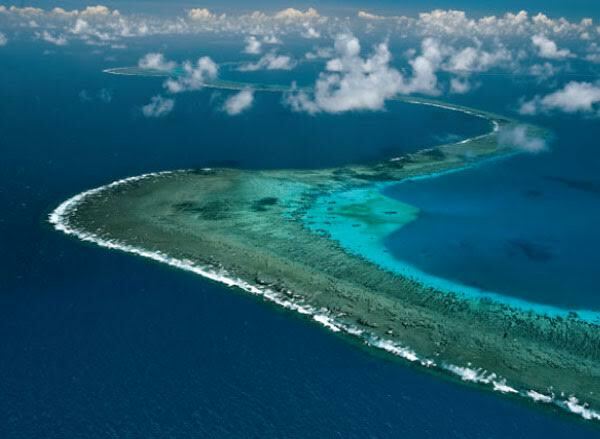 This is the ideal location to rent a boat, disconnect your phone, and snorkel all the way through the Great Barrier Reef. Installed in Whitsunday island, the biggest island of the Whitsunday group, you can find this 7km long paradise, with white sand and turquoise waters. This iconic beach was named one of the Top 10 beaches in the world by the users of TripAdvisor. So don’t hesitate, and let your eyes enjoy this marvel. Understandably the Great barrier Reef is a natural beauty, listed under the UNESCO world heritage site, the great barrier reef is the largest living structure visible from outer space. It’s 2000km in length, and pristine waters, make it the perfect place to spend your day sailing and snorkelling so that you can explore the hidden beauties this reef has to offer. If you hope to experience pure luxury, journey to Hayman Island, you will certainly feel like it was made just for you. This private island was opened to the public in 1950, and has managed to maintain it’s exclusivity. Guests to this island can arrive either by private luxury motor yachts, or by private charter helicopter. 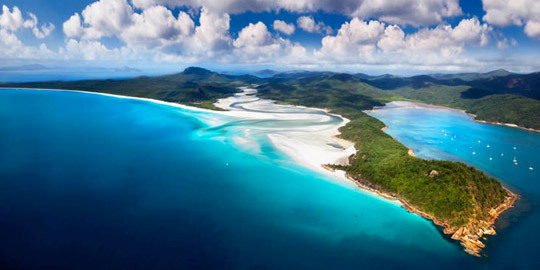 Hamilton Island has it all, the pristine waters, golfing courses, snorkeling, art classes, and even ballet performances. But if you are looking for a luxurious experience, you can find the resort that was voted best resort in the world by Conde Naste Traveller Reader’s Choice Awards (2012). Qualia resort offers everything you would need for pure indulgence. As stated before, The Whitsundays has a vast coral reef area. For this reason we recommend that you tie your sailboat or yacht into a mooring, so that there is no risk of damaging the coral areas. If you would rather anchor, we advise you to take reasonable care to avoid damaging the coral reef and use a reef pick to anchor. The subtropical climate is perfect for sailing, which means that it is warm all year around, great for sailing at any time of the year. Thanks to the Great Barrier Reef, the sea around the seventy four islands is calm. We have a variety of boats available, have a look at the catamarans that we have ready for you to sail in the Whitsundays. From April to September, seas are slight to moderate and winds are east-south-easterly to southerly. Because this is stronger than in the summer, this complicates some anchorages, especially in the southern area. From October to March, lighter north-easterly winds prevail and seas are mostly smooth for sailing. The Whitsundays is serviced by two domestic airports, one is named after the Great Barrier Reef and is located on Hamilton Island, and the second is the Whitsunday Coast Airport located on Proserpine. The Nautal team would love to hear from you. 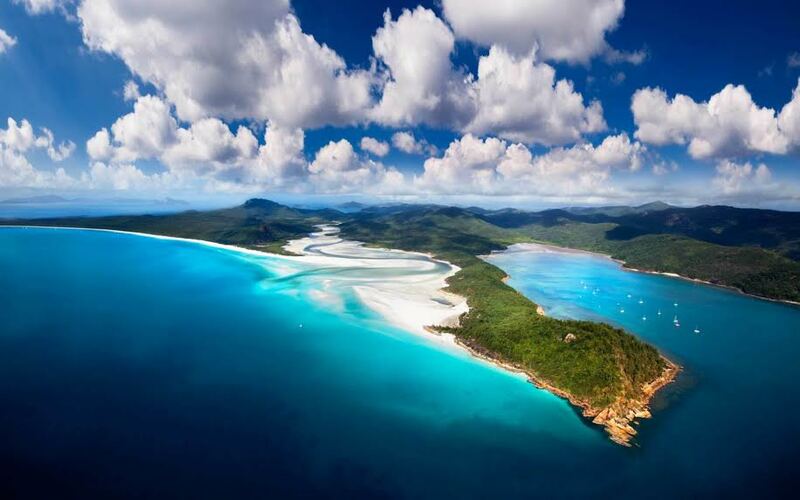 If you have been to the Whitsundays, where would you recommend. Share your favourite spots and recommendations with us! I will remember to bookmark your blog and definitely will come back down the road.